Bedlam Paintball Dorking offer you a unique and unrivalled variety of action packed paintball games on our purpose built game maps which are all designed to give you and your group an amazing day out. Our venues are very popular with regular players and first time players as each site offers a brilliant environment for whichever level you are. 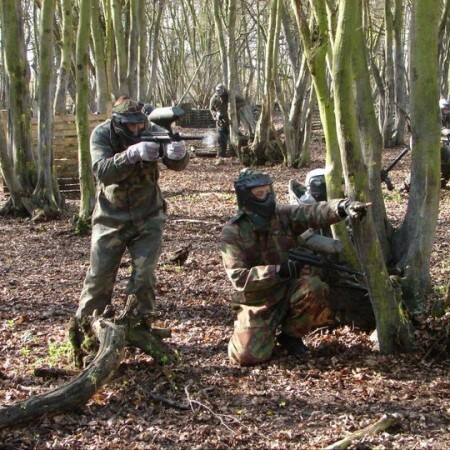 Our paintball sites are ideal for parties of all sizes whether they be companies, clubs, social groups, stag and hen parties, birthday groups or just single players looking to join in a group event. In the most isolated part of the Paintball Guildford jungle your unit have become extremely vulnerable to attack as you begin to lose your way. 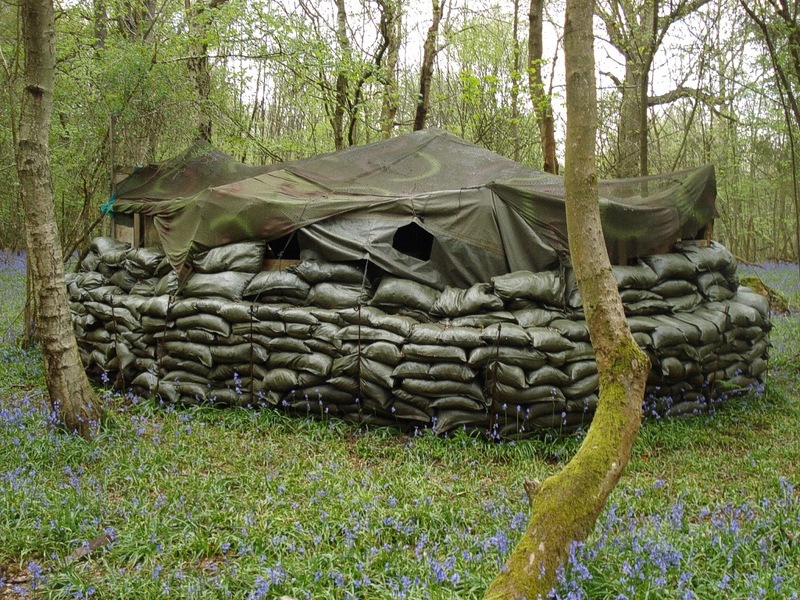 The paintballing enemy are lurking and you can sense them in the undergrowth but you can't see them!! Watch out for the twitchy shooters as it could lead to an enormous fire-fight. Can you lead your unit through the jungle and seek safety? Close quarter paintball at it's best. On this game map you will be in the face of the enemy within seconds and taking cover at every opportunity. The noise of the guns and incoming paintball fire is enough to test anyone's nerves and bravery. The enemy have taken refuge in an old fuel dump. The area is swamped with opposition fighters and you must use the armoured vechicle to your advantage to get close to the perimeter. Once you have you can then use the bazooka to destroy the fuel dump and eliminate the rebel paintball Guildford fighters. Your unit have been tasked with protecting a paintball commander who has VIP status. His whereabouts have been leaked by an insider and now the opposition are heading your way to try and capture him. Can you fend off the assault on your position until back-up arrives? The commander hopes you can. Bedlam Paintball Dorking. 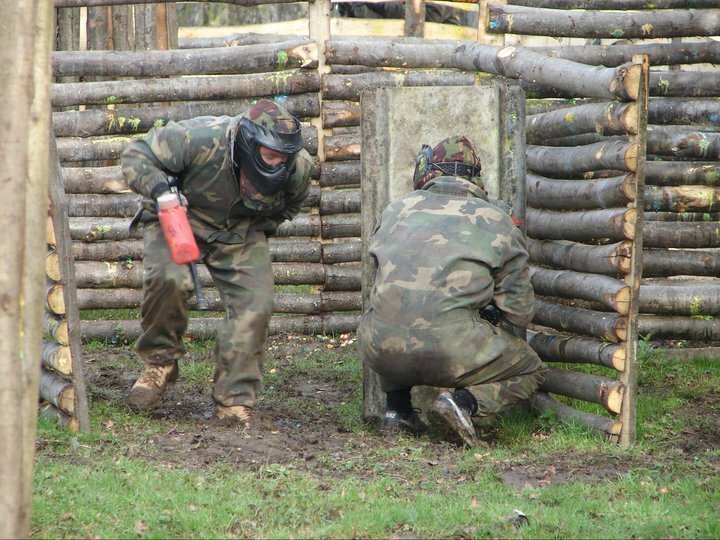 The best paintballing deals in Dorking. 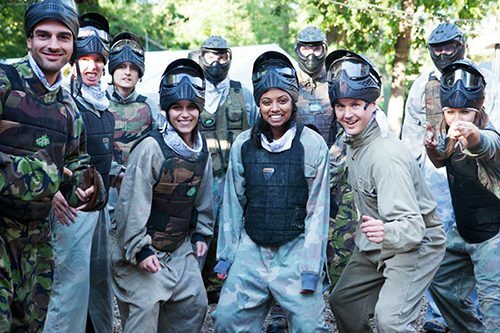 Go Bedlam Paintballing Dorking is a pay as you go package to play paintball in Dorking. The package includes entrance fees, game fees, paintball insurance, paintball marker gun, paintball hopper and propellant for the whole day. DORKING'S PREMIER VENUE; Henfold Lakes, Henfold Lane, Dorking, Surrey, RH5 4RW.